Honestly, it is difficult to know just where to start with this article. 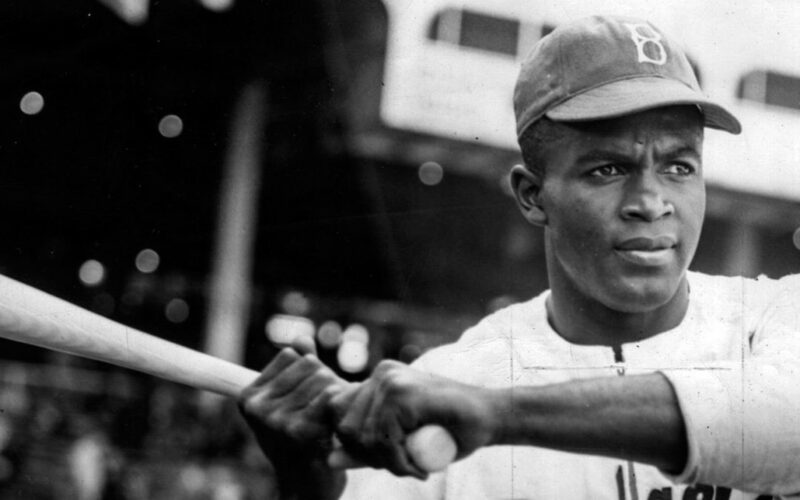 In the United States, the number of black professional sports heroes is staggering. As would be expected, it was a steep uphill climb for black athletes to enter sports that had almost exclusively consisted of white athletes (with a few Latins mixed in later). The names and stories of those who braved the storm and entered that highly esteemed world were brave souls indeed, but they paved the way for thousands who would enter that same world and hundreds who would become household names for blacks and whites alike. We Americans love our sports and our sports heroes, and color makes less difference in this rarified world than in most other places. Black fighters in the boxing world were likely the first sportspersons to gain worldwide public attention. The list of outstanding boxers and world champions is a long list indeed. Jack Johnson was the first Heavyweight Champ to be crowned, on December 26, 1908. In that sense, he led the way for all other black athletes into the formerly all-white sports world. No champion in this sport captured the attention and hearts of boxing fans like Mohammed Ali, the recently deceased Champion of champions who most would crown as the greatest boxer in history. Jesse Owens wasn’t a professional athlete per se, but in 1936 at the World Olympics in Berlin Germany, he won four gold medals and set three world records in the process. All of this took place under the nose of Adolph Hitler, who was certain that the superiority of the Aryan race would be demonstrated. As one writer put it, Jesse Owens rained on Hitler’s parade! Good! Following a timeline, 1946 was the year when Kenny Washington broke the color barrier in the NFL in 1946. He was often referred to as the “Jackie Robinson of the NFL,” although his entry into the white world of professional football occurred a year earlier than Robinson’s entry into baseball. However, on April 15, 1947, Jackie became the first African-American in the major leagues when he played his first game with the Brooklyn Dodgers. Earl Lloyd broke the NBA’s color barrier on October 31, 1950 as he became the first black person to play in a regular NBA game. In 1956, Athea Gibson was the first African-American to achieve star status in tennis, and in 1956 she became the first black to win a Grand Slam event (the French Open). She was twice voted the Associated Press Female Athlete of the Year and won 11 Grand Slams, both in singles and doubles play. In 1971, she was elected into the International Tennis Hall of Fame. Gibson opened the doors for African-Americans in tennis and served as an inspiration for future black female stars such as Venus and Serena Williams. It was not until 1968 that a black male tennis star won a Grand Slam event (the initial U.S. Open), and that was Arthur Ashe. Although he is often mentioned as the African American to break the color barrier in tennis, he lagged far behind his female counterpart (not to diminish his greatness and his reputation in the least). January 18th of 1958 marked the entrance of Willie O’Ree into the National Hockey League as a new member of the Boston Bruins. He had played professionally in Canada prior to that night, but this was when he broke the color barrier for black hockey players. Charles Sifford was the first person of color to compete in PGA-sanctioned events following the demise in 1961 of the “Caucasian-only” PGA of America membership clause. He went on to win PGA Tour events in 1967 and 1969, as well as the 1975 PGA Seniors’ Championship. He was the third golfer to be awarded the Presidential Medal of Freedom, the others being Arnold Palmer in 2004 and Jack Nicklaus in 2005. Obviously, Tiger Woods would eventually be the player destined to become the most famous African American ever to play the game. In his heyday, most students of the game believe him to be the best golfer ever, certainly no lower than second behind Jack Nicklaus. It is sad that his life off the course fell far below his life on the course, which was near-magical. Any modern day sports fan is most appreciative of that color barrier being broken, because black athletes excel in many sports. I think any student of society would also say that the inclusion of African Americans in professional sports has helped significantly to weaken and break down racial barriers. In sports, it is no longer an issue of color that matters; all that matters is whether the person can play the game, whatever the game may be. I do not have the space or time to mention all of the black athletes I admire, nor do I have the time to tell their stories and the impact for good that I believe they have exercised. Therefore, I’ll limit myself to talking about a few black players on my favorite NFL team, recognizing freely that they are a small representation of so many others just like them. The ones I mention are not my heroes just because of their abilities and accomplishments on the field, but for their characters and accomplishments off the field as well. If you are among the millions of “haters” of the New England Patriots, please indulge me and look past the team name to the men of color whom I will describe. Opps ─ the Evil Empire (Have Mercy on Me)! To me, Troy Brown is the face of the Patriots, for he represents as well as anyone what their team mentality is. He was a part of the team when they won three Super Bowls in the early 2000s (in four years). He was a receiver (most of the time) and caught so many passes in crucial situations that it has to be said that had he not been such a clutch player, they would not have won those championships. When he became a free agent and could have left the team to make more money, he took a cut in pay and stayed. When so many defensive backs were injured, he was asked to play on both the offense and defense, and gladly took on the task. Watching him on TV interviews makes you realize that you are seeing a selfless player who is just a nice man. As TV announcers often say of players like Troy, he is (or was) a great player, but he was a better person. We don’t see or hear about nearly enough of what players do off the field to serve their communities. Having lived in Boston for sixteen years, I was fortunate enough to hear of some of Troy’s off-field work in the community. He and the famous (or infamous, as some will likely think) coach, Bill Belichick, often worked as a pair in going to schools in the New England area to speak to students about doing their best and making the most of their lives. The coach admired Troy for many reasons, and for those reasons often chose him as a partner with whom to work off the field. Then I think of a young man who played college football at a small college in Mississippi and was undrafted as a professional. Not long before being signed by the Patriots in 2014, he was working in a Popeye’s Chicken fast food restaurant. After joining the Patriots, he was a part-time player while learning the ropes. Fortunately for him, the team went to the Super Bowl in early 2015. With 20 seconds left in the game, he was sent in to try and help stop the Seattle Seahawks from scoring from the one yard line to win the game. He had done his homework well, recognizing the play that Seattle was about to be run, a pass play. Malcolm Butler made what most feel was the best interception ever make in a Super Bowl, and had he not made it, his team would almost certainly have lost the game. Tom Brady, the quarterback, understood the huge significance of what Malcomb had done, and gave him the truck that was first given to him for being voted as the MVP of the game. So, yes, I loved the play, but I love watching this young man’s humility when he is interviewed. He is now recognized as one of the league’s best cornerbacks, and his coaches still see a lot of potential yet to be developed. A great player, yes, but a better person. Something similar happened in the very recent Super Bowl involving another fairly unknown black player, James White. He was drafted in 2014, but played little as a rookie because of having to deal with injuries. He began the 2015 season as a back-up running back, but when the starting running back was injured, he got his chance and played well from that point forward. However, 2016 was his year and the Super Bowl in early 2017 was his performance stage of fame. He scored three touchdowns, including the game-winning score in overtime. He set Super Bowl records for receptions with 14, and points scored with 20. He had 139 total yards (29 rushing, 110 receiving, joining one other player as the only running back with 100+ receiving yards in a Super Bowl), and scored three touchdowns and a two-point conversion. His team overcame the biggest point deficit in SB history (by a wide margin), and during overtime, White delivered the finishing blow by rushing 2 yards into the end zone for the game-winning touchdown as the Patriots won 34–28. Upon finding out that he had again won the MVP award, Tom Brady quickly said, “I thought White should have won it” (a sentiment with which many fans agreed). However, when asked about it, James disagreed with a laugh, saying that unless Tom had thrown all of those passes his way, he couldn’t have done what he did (also true). Brady vowed to give him his MVP truck, but found out that this year Ford Motor Company hadn’t planned to give a truck for this award. However, on the Conan O’Brien Show, James received his truck from Ford on a live show. Justice prevailed! But again, watching this young man on TV, you know that you are watching someone with character and personality, as well as talent. Finally, I have to mention a receiver, Malcolm Mitchell. He was a rookie pass receiver for the Pats this season just finished, and had a very good season for a rookie. But the captivating point about Mitchell is a very unusual one. While in college at Georgia, and an outstanding player, he came to a sad conclusion: he read at about a junior high level. He recognized that so many of his college classmates were learning so much more than he simply because they could read well. He decided on his own to do something about it. He went to the library and in a chance meeting with an older white woman, asked her for a recommendation for something good to read. In the midst of the conversation, she mentioned what they were reading in her book club. Immediately Malcolm asked if he could join their club. He has such an infectious personality that the woman said yes, and at their meeting he was the only male and only African American present. He was so excited that he said he didn’t even notice those things! The women had no idea that he was a star football player in college. They were just smitten by his desire to read (and in his mind, learn to read much better). So here is this young black man sitting in the midst of a bunch of older white gals. He later told his mom that all of the women were older than she was (which wasn’t quite true, but almost). He published a children’s book, The Magician’s Hat, while still in college. He now travels around talking to young students in school, showing that something magical happens when you can read well. You can view accounts of the reading club activities on You Tube, and it is obvious that the women are not only very accepting of him but very possessive of him (not wanting to share him with similar reading clubs!). It is a heart-warming story. OK ─ You Can Rub My Head! So what do we learn from professional sports and race, especially on a team like the Patriots? For one thing, these guys are professionals and work extremely hard to be able to play at an almost unbelievably high level. All races are together in all kinds of situations, eating together, traveling together, dressing together in the locker room, taking showers together (I guess that’s still the case; it was when I was in school). They seem to be genuine friends with each other. I watch them after games, especially after they win a big one. They express verbally that they love each other, no matter what their race, and they show it. When they hug each other, they hug like black people, even if they are white. Black guys are better at showing affection than white guys. They hug cheek to cheek. White guys are typically kind of stiff. I’ve often told my black buddies at church that I was going to have a midweek service devoted to having them teach white guys how to hug (and I wasn’t totally joking). The football players really give hugs, all of them. It’s heart-warming for me to watch. The acid test that proves they are serious about showing affection is that they rub each other’s heads. You don’t just rub a black man’s head any more than you feel a black woman’s hair (or even ask to!). But these dudes do it! The white coaches and the owner rub heads and get theirs rubbed (and hair messed up in the process). I’m grateful for these demonstrations of relationships, whatever the rest of the world might be like. I love watching the different black guys as sports announcers or sports show hosts. They are good guys, like they were as players. Sure, you read about players who are not good guys off the field, both black and white, but I think they are the exceptions. The media is not looking for good news to print; they are looking for bad news, whether you are a politician or a sports figure. Thus, you hear more about the knotheads than the good guys. One of my pet peeves is when a black guy says of another black guy, “He’s not black enough,” or “He doesn’t talk black.” What in the world is that all about? I rejoice as much in the differences in their personalities as I do in the differences in all of our skin tones. God created diversity for our enjoyment, not to divide us. When blacks criticize other blacks in these ways, it seems to me that they are calling for stereotyping themselves, the very thing they hate when it comes from bigoted whites. I’m glad that they are different from one another. Are not we white dudes different from one another? It’s all good! In spite of the racial divides in our society, I for one think that racial diversity in the sports world has been helpful and is a very positive thing. They have something to teach us. The few guys I described are only a few of hundreds that are just good people, good citizens, good neighbors and good friends. I may think that they are vastly overpaid, but that’s the sports world for you and the American society that is too enamored with sports. I have to remind myself that it is just a game, and the players no doubt have to remind themselves of the same thing. From reading Paul’s writing and his use of sports analogies, he too must have been a sports fan to some degree. I have many sports heroes, of all races, and while I don’t worship them, I do appreciate them and enjoy them as players and as human beings. And I appreciate what the racial mixes on the field, on the court, on the course and on the track have done for us as a society. I’m sure it’s not all pretty, in fact I know it’s not, but there is much to appreciate and I hate to even think of what life in our country would be like if sports teams had not integrated early on. We are all better for it, of that I have no doubt. I wouldn’t want to have Black History Month without black athletes playing a predominant part in it. So there you have it ─ the Ferguson Sports Show signing off!